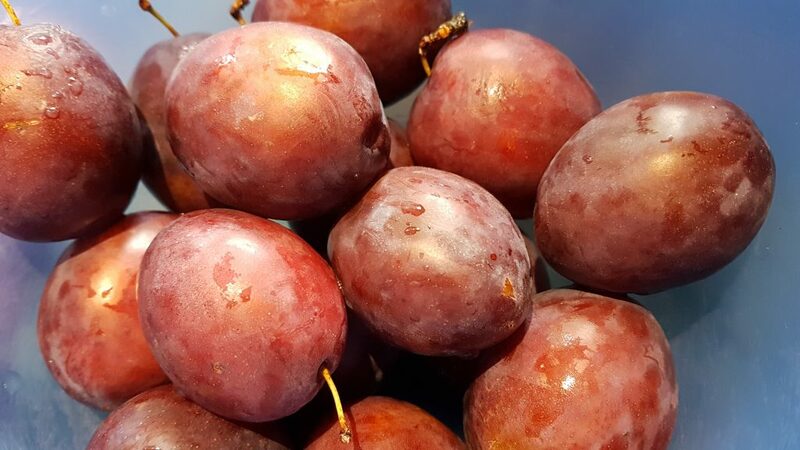 Plums are among my absolute favourite fruits: it cannot be a coincidence that the word “plum” also means “something desirable” in English. 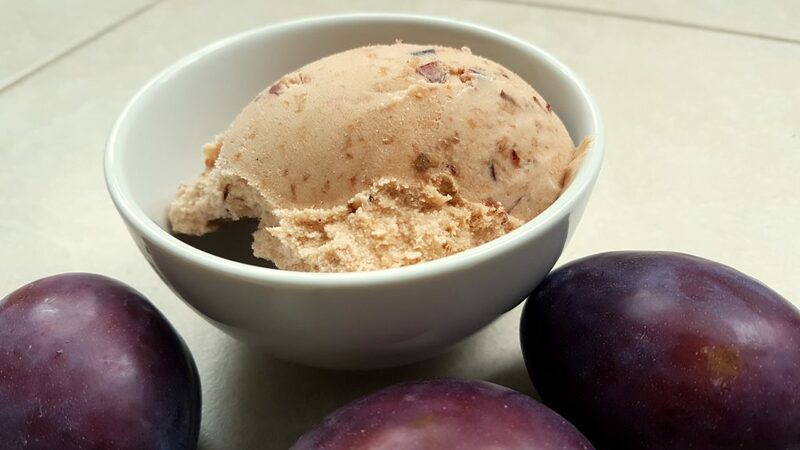 In this post, we will use the plums in a delicious, yet deceptively simple-to-make yoghurt ice cream! 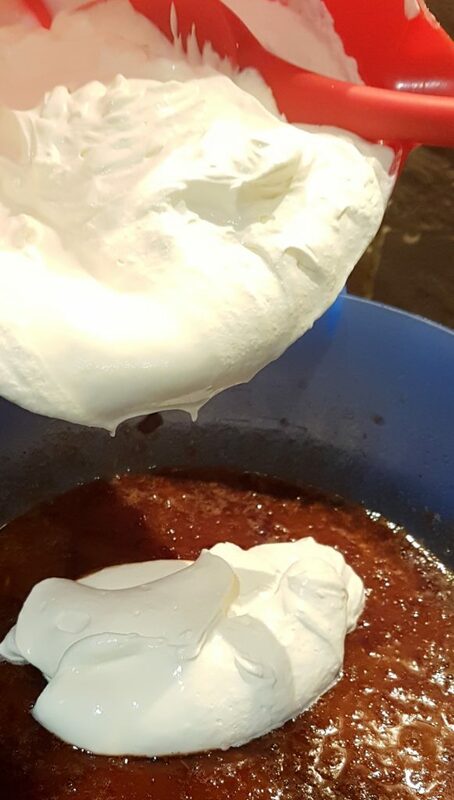 For those of you who like to tinker with your recipes, we will consider using two different types of sugar, and how to possibly put an “edge” to the recipe. Plums was considered one of “The Four nobles” of plants. According to the Confucian Zhu Xi, the renowned Song Dynasty scholar, the fruit also had four virtues: the great potential in the bud, the prosperity in the flower, the harmony in the fruit, and the rightness in its maturity: qualities which embodied the very characteristics of Heaven itself. In other words – How could we ever go wrong with an ice cream based on plums? Befitting such a virtuous fruit as the plum, the preparations of this ice cream could hardly be simpler. 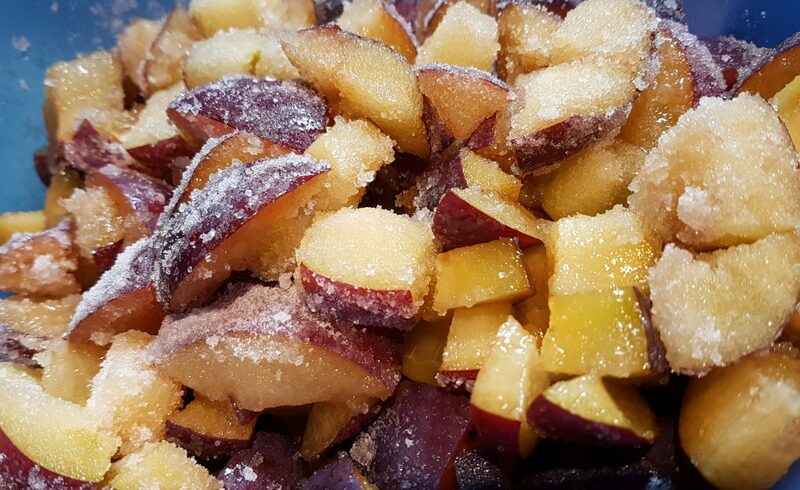 Simply cut the plums, take out the pits, put them in a bowl and sprinkle over the sugar (and the lemon juice and – if using – the vanilla), letting the fruit macerate half an hour or so: this will bring out the flavour of the fruit even more. You could, if you like, also try to replace all or part of the “ordinary white” caster sugar with xylitol (in my personal view probably the best sugar-substitute there is, and perfect for ice cream making since it has all the good “structural” qualities of sugar, like keeping the frozen ice cream scoopable and nice). Or you could try replacing some of the caster sugar with fructose (also known as fruit sugar), which will add slightly more sweetness (and good structural qualities) than ordinary sugar. Now, if you go for xylitol and/or fructose, you would – strictly speaking – be able to cut down on the overall amount of sugar too. 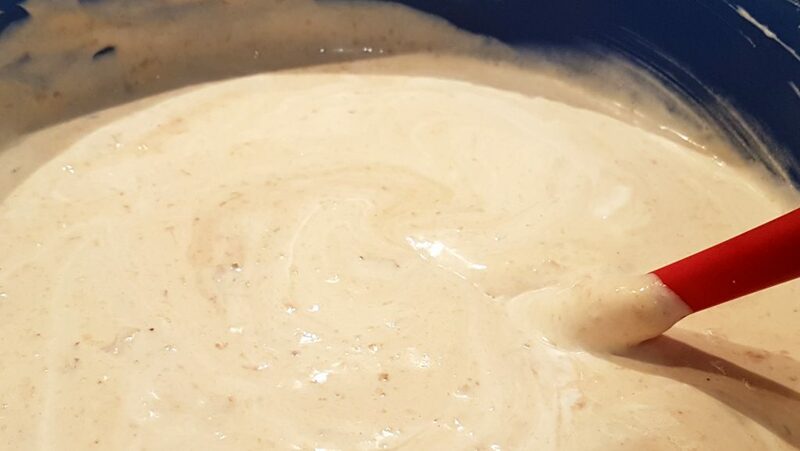 However, in terms of simplicity, I would not bother too much about that aspect when making a batch of home made ice cream. By macerating the plums, we will be able to bring out more of their flavour. This step is also something which does not increase the overall amount of sugar: we just use what we would have put into the ice cream anyway. When the maceration is over, we can do the rest in practically one go. Start by puréeing the plums, using a hand held mixer or similar. 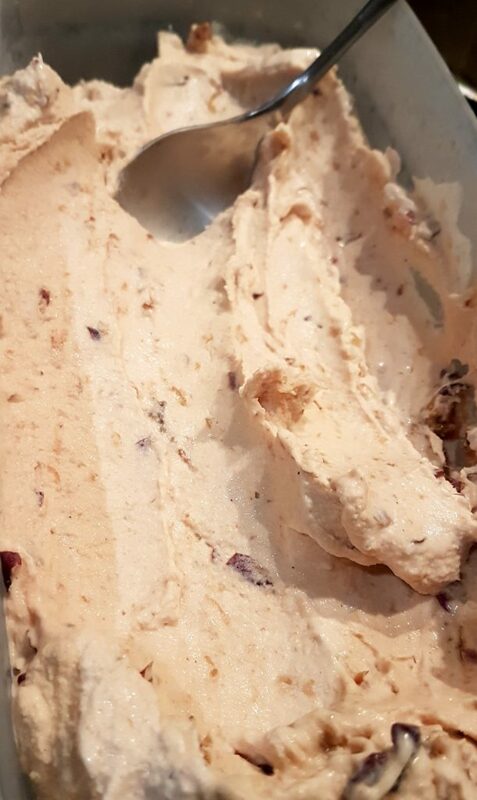 Now whipthe cream rather stiff – this is important in order to capture air for our ice cream: since the overall fat content of this ice cream is quite moderate, we are going to need both the air and the sugar to help ensure the nice, scoopable consistency we want. 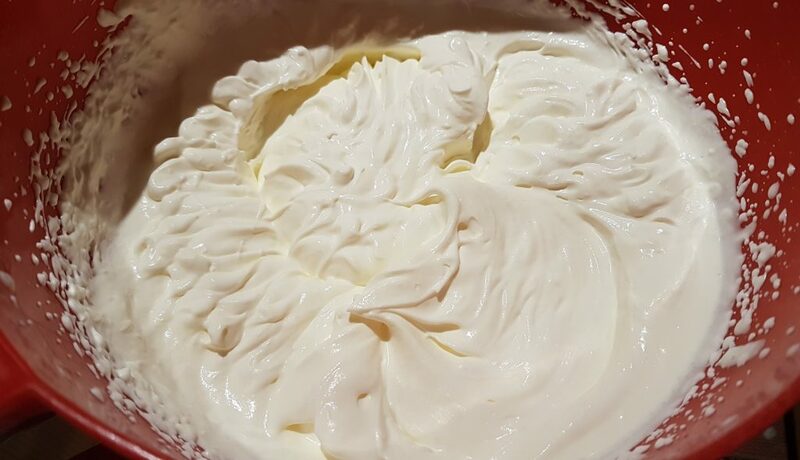 The cream should be whipped rather stiff to better contain the air we want for the ice cream. Once the cream has been whipped, blend in the yoghurt and the plum purée. And that’s it – our base is ready! Yummy – all ingredients have come together (except, in this photo, for the optional Madeira). Now, it is only a matter of churning left before the yoghurt ice cream will be ready! Churn the base in your ice cream machine and the glorious-to-eat-when-fresh plum yoghurt ice cream will be ready for tasting in no time! 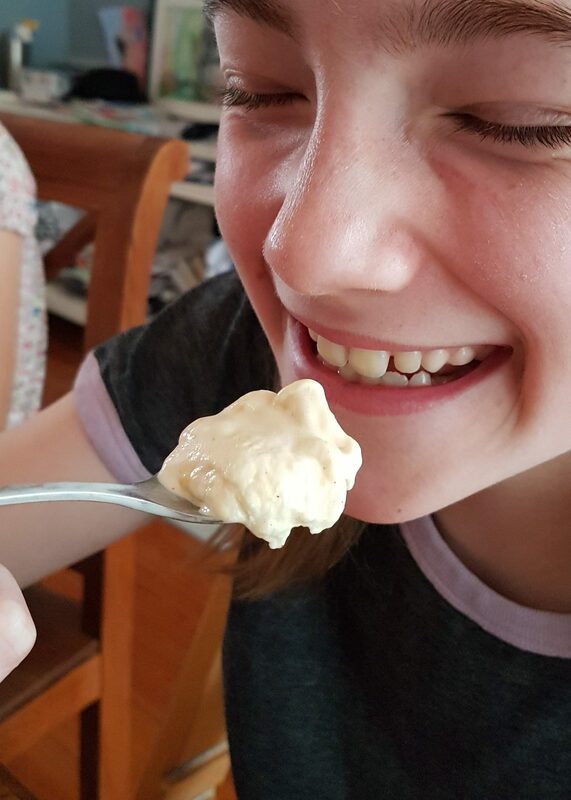 Freshly churned plum yoghurt ice cream – delicious, sweet and refreshing! No ice cream machine? Don’t worry – follow the general instructions in this helpful post, and still-freeze the ice cream in your ordinary household freezer! 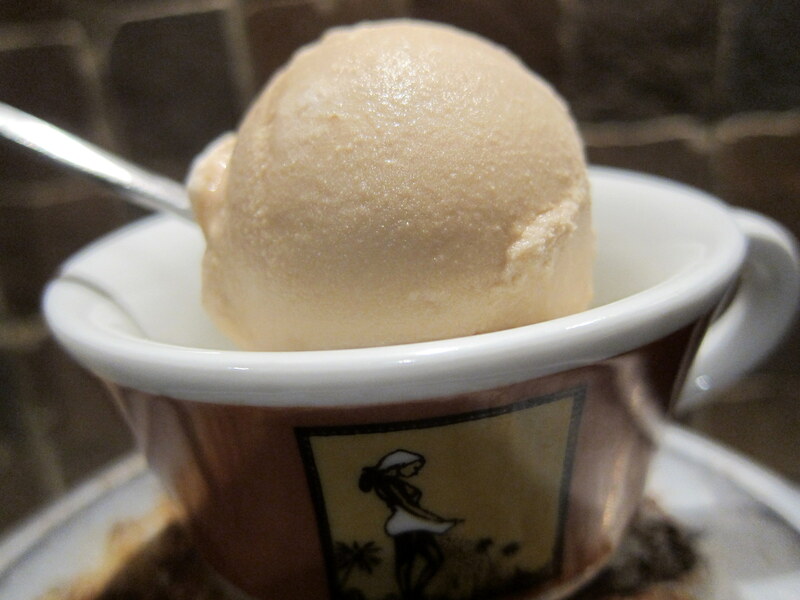 It is hard not to simply eat all the freshly churned ice cream, because it is truly fantastic to enjoy at this stage. I did manage to save some for later. I should add that ice cream keeps very well in the freezer too. OH so very nice and natural! Or so I thought, at least. But it turned out that the family was divided. While I relished the refreshing and “natural” flavour of the plums (and still do …), others were not equally impressed. “Yeah”, they said, “it tastes … plum”, and then asked for more of an edge for contrast. Well, since there usually is little point in arguing over tastes, I tried to overcome my hurt (I STILL like the “natural” version!) and pondered a way to bring the requested “edge” into the ice cream. My solution – Madeira wine. Unlike some other contrasting flavours, this fortified Portuguese wine married very nicely with the plums, while providing “an edge”. This revamped version (“plum innocence lost”) luckily met with approval from the previous sceptics. So – whether you prefer to go with the unadulterated natural plum flavour, or with the “plum innocence lost”-version, you can’t go wrong with plums! PS. 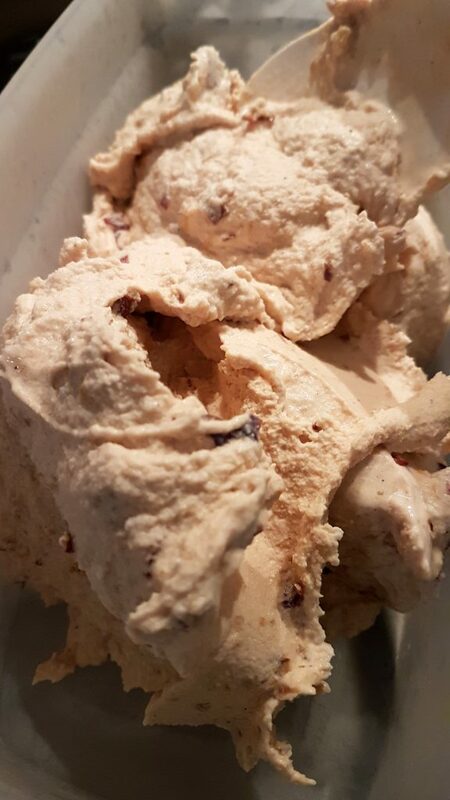 In case you would like to go beyond the “Plums-only” flavour but without using alcohol – Cut up some dark chocolate and add a handful or so of the pieces to the ice cream: the chocolate can be added either towards the end of the churning, or simply mixed into the ice cream directly after. 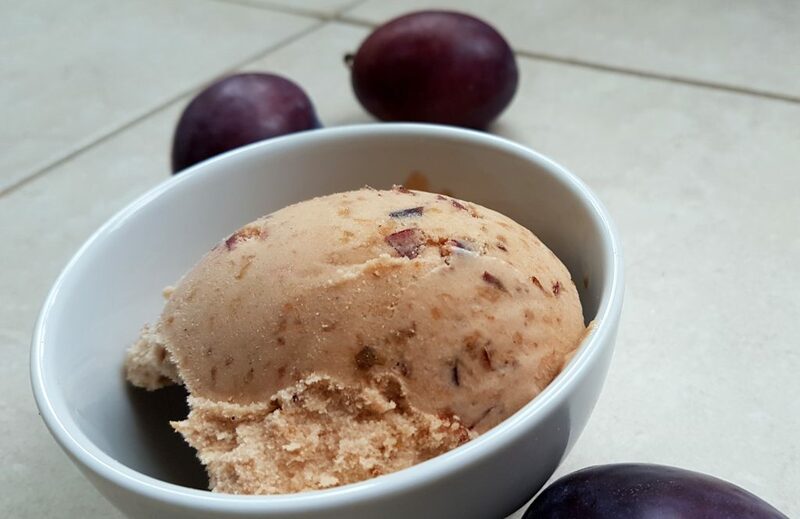 Based on my favourite yoghurt fruit ice cream recipe, this delicious blend of sweet ripe plums and refreshing yoghurt is guaranteed to please! Slice the plums and add the sugar, the lemon juice and (if using) the vanilla and/or the Madeira. Set aside to macerate for at least half an hour or so. Then, purée the plums (using a hand-held mixer or the likes). Whip the cream rather stiff, add the yoghurt and the puréed plums. Churn in your ice cream maker, or still-freeze using your ordinary freezer. Too "vanilla" for you? Missing some adult "edge" - try adding some Madeira wine! If you want to make more than pure plum but want to avoid alcohol - add a handful of bits and pieces of dark chocolate!